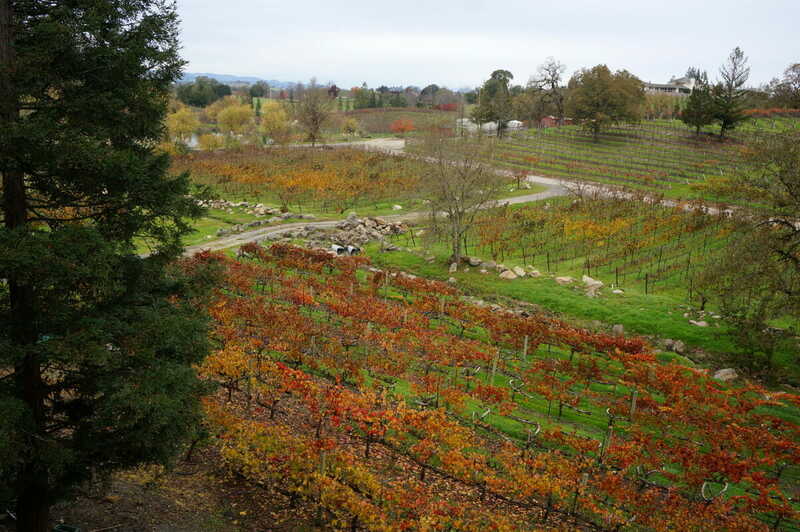 When you hear of Sonoma County, you think wine country. Yep, this is the heart of the wine country. 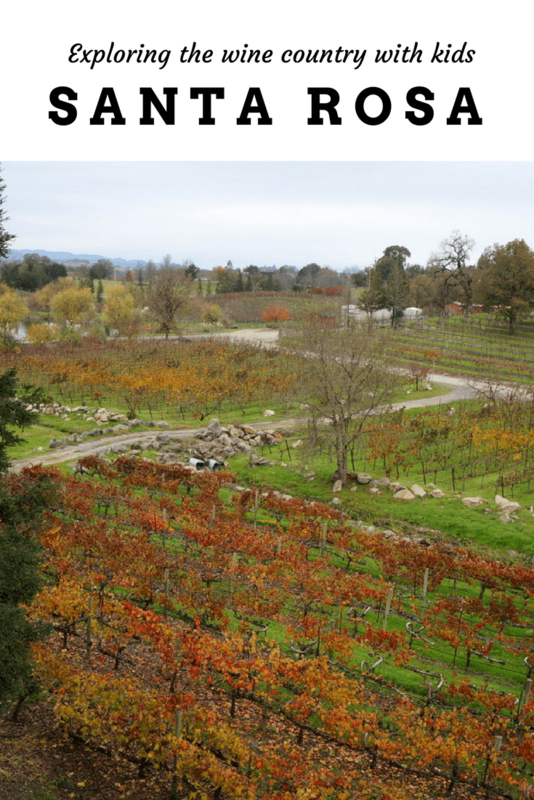 For young singles and couples without kids, a weekend visit to Sonoma means soaking up the scenery, sampling first class wines and hopping from one beautiful winery to another. But what about when you have kids? Is the area totally off limits? Some might think so, but I’m here to tell you it’s not. The entire area is actually quite family friendly, specifically Santa Rosa. After spending a few days in the beautiful rolling hills of Santa Rosa, my conclusion is this is the place for wine enthusiasts with kids in tow! Santa Rosa is about an hour or so north of San Francisco, making it an ideal weekend getaway for people in the Bay Area. However, with its own airport, getting to Santa Rosa is a snap for people throughout California (and soon Arizona and further afield too!). 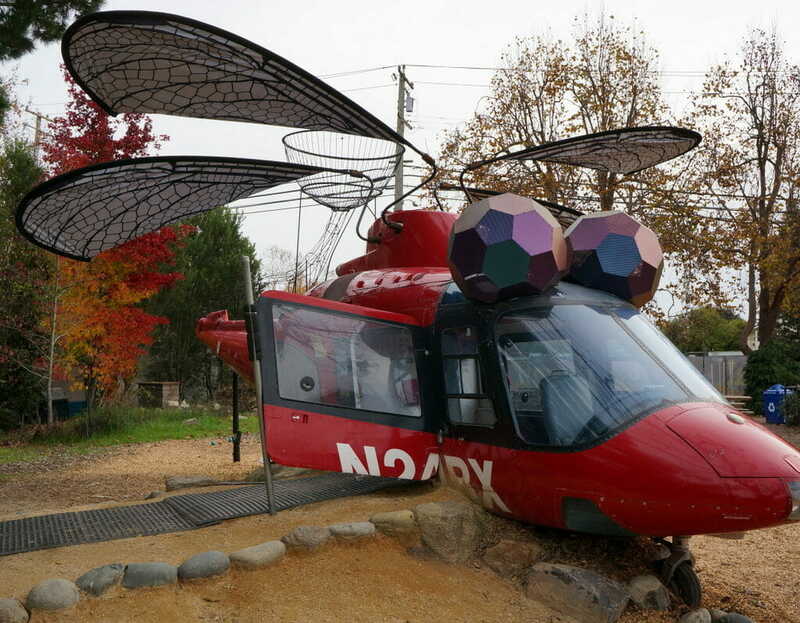 From one of it’s most famous community members, Sparky Shultz’s Peanuts, that are ever present in the city to wild African animals, wineries and redwood forests, there is something here for everyone. The problem is figuring out just what you should do during your visit! 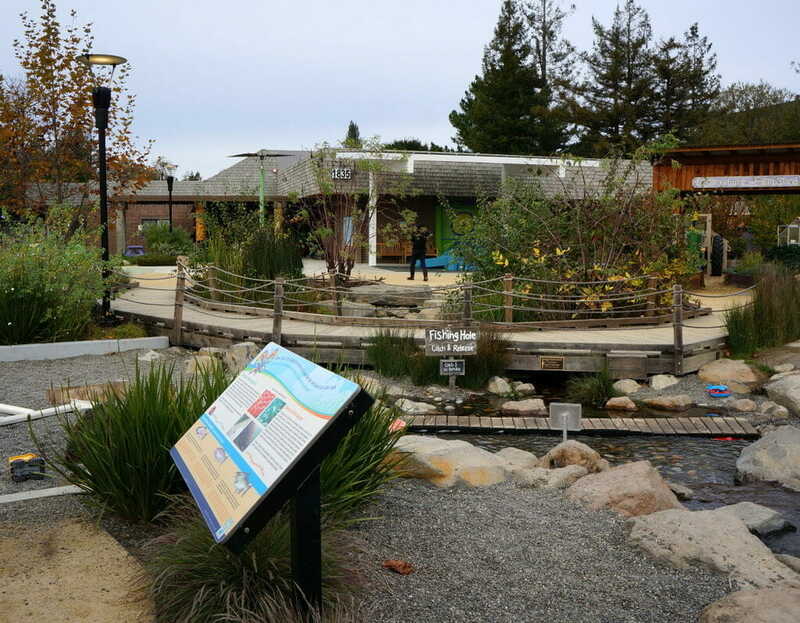 Read on for our recommendations on how to explore Santa Rosa with kids. 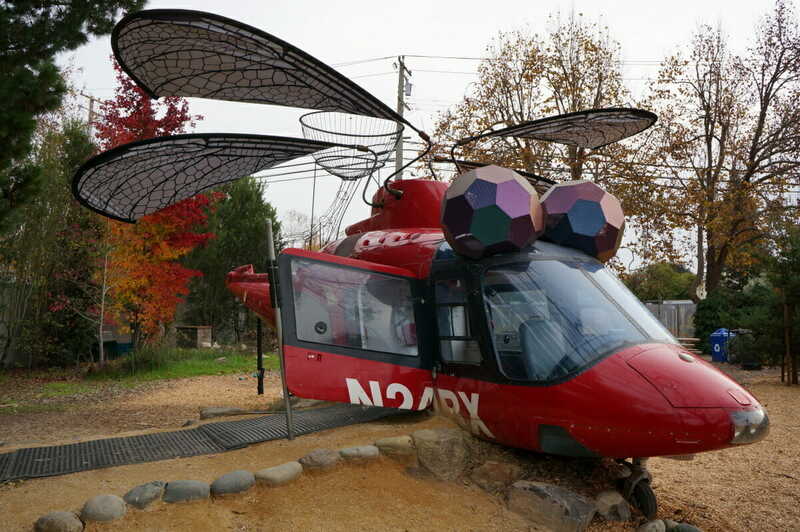 The Childrens’ Museum of Sonoma County, located in Santa Rosa rivals our favorite childrens museum in Los Angeles and is a must visit when in town. 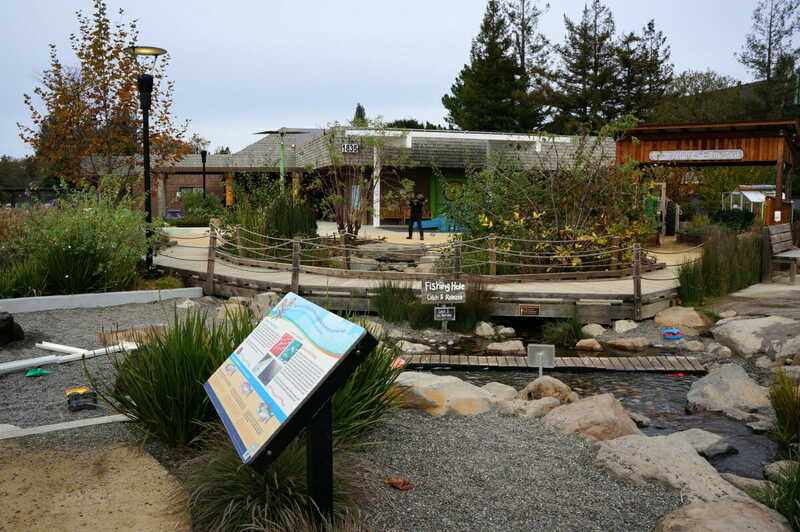 Opened in 2015, this indoor/outdoor kids play space/museum is filled with hands-ons, interactive exhibits for kids of all ages focusing on nature, art and science. 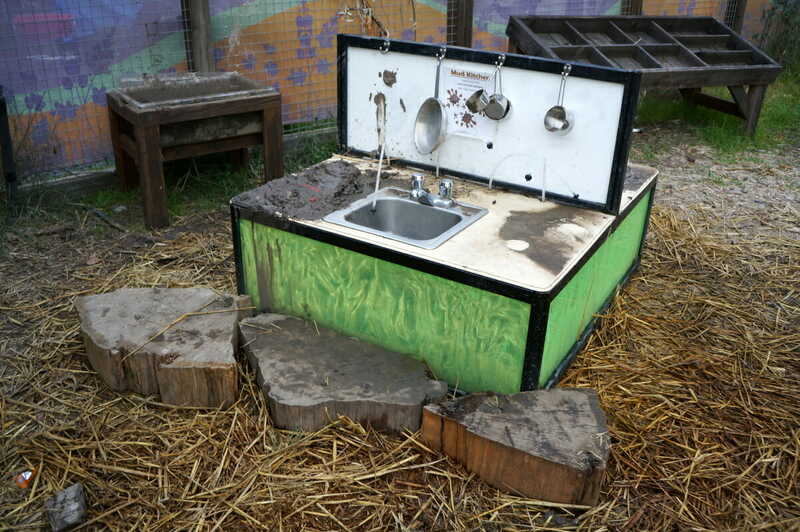 The outdoor space is one of the best I have seen in kid’s play spaces. 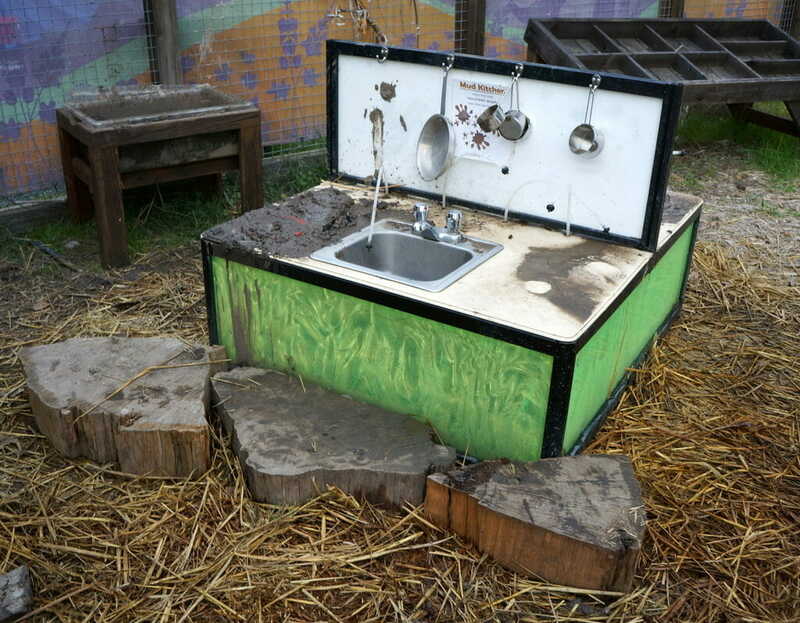 From the vegetable garden to the farmers market stand to the real helicopter aka dragonfly play structure and the mud kitchen, kids (and adults too!) will have so much fun playing out their real life fantasies. The sandy Russian River replica where kids can build and create using digging materials as well as water as their medium was a super hit during our visit, even though it was not very warm outside! 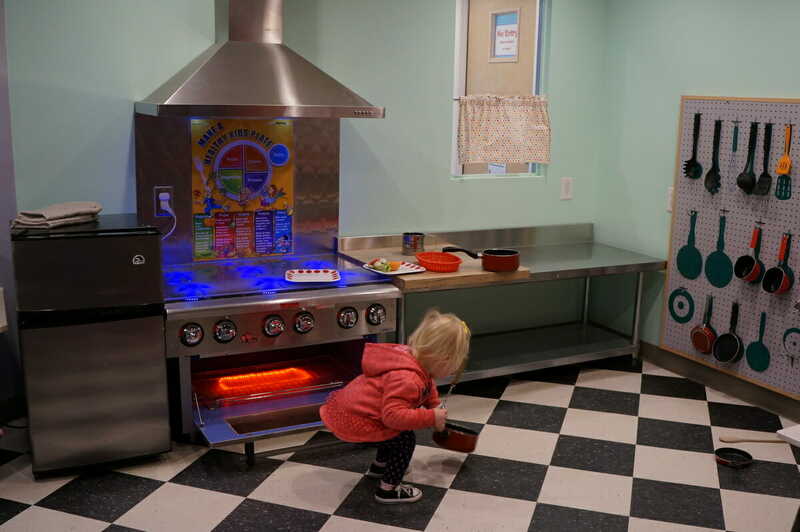 Inside, kids have two levels of creative and interactive rooms to meander through. 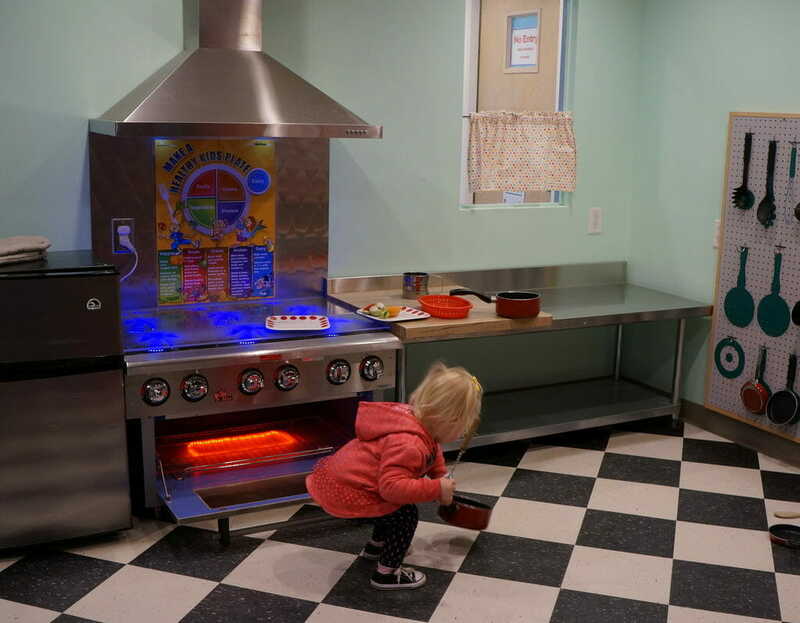 A wood workshop, a doctors office and a cafe are some of the real life based studios kids can have fun playing pretend in. A working beehive, a life size lite-bright and pulley systems galore – there really is so much to do here that your kids will not be satisfied with just one visit! Bring a change of clothes. I can guarantee you, your kids will need them. 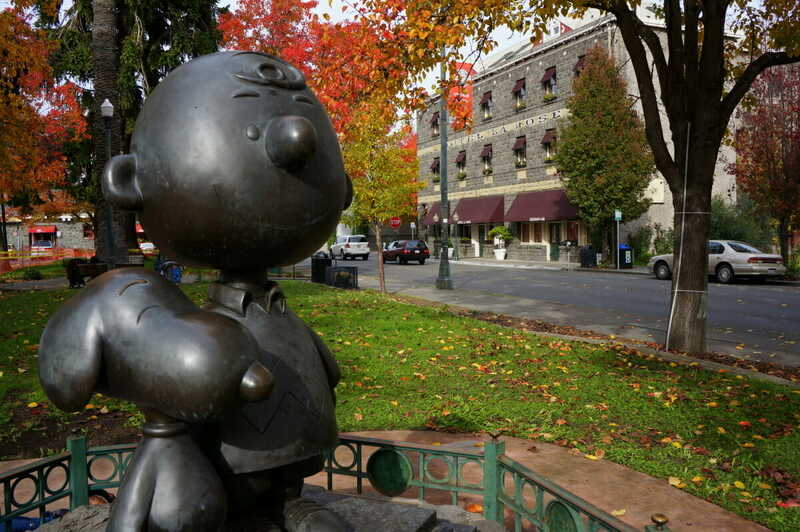 If you are a fan of the Peanuts comic strip or cartoons, then you must visit Santa Rosa and the Charles M. Schulz Museum. 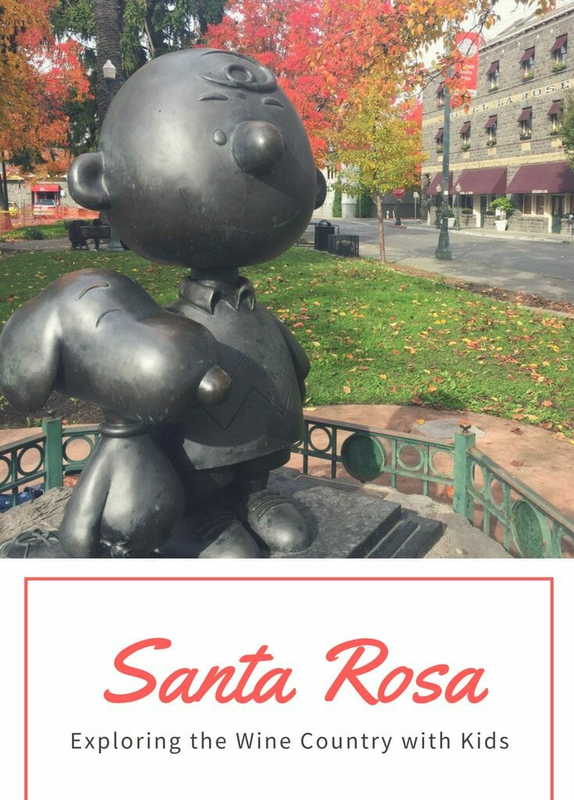 Arriving to Santa Rosa, you will quickly be greeted by life-sized characters from the famous Peanuts comic strip. At the airport, around town and almost every where you look, you will be reminded that Charles Schulz called Santa Rosa home. For adults, laughter, smiles and nostalgia will come pouring in from your childhood as you set eyes upon Snoopy, Charlie Brown and the gang. Schultz drew the Peanuts comics for almost 50 years, so even if you don’t think you are a fan, a visit to the Charles M. Schulz Museum will take you back in time, showing you just how omnipresent Snoopy was for our generation. A visit to the museum provides you an opportunity to relive and share with your children one of the largest collections of original Peanuts art in the world. Visitors will learn more about Schultz and his life, the progression of characters in the comic strip, all about the art of cartooning as well as see a few fun props from his comics. During our visit, the temporary exhibit space was focused on Peanuts in politics. The exhibit presented original comic strips focused on the characters running for president as well as letters from past presidents discussing Peanuts! It was really cool to see the evolution of the series and how it recorded the stories of the time so casually in the strip. When you are on the “campus” make sure to check out the Snoopy Rink where Schultz ate every day as well as the gift shop that is loaded with super cool Peanuts gang merchandise and even more life sized characters to check out. If your kids haven’t been introduced to the peanuts gang yet, now is the time. They will love the wholesome hilarious humor of the comic strips and cartoons. 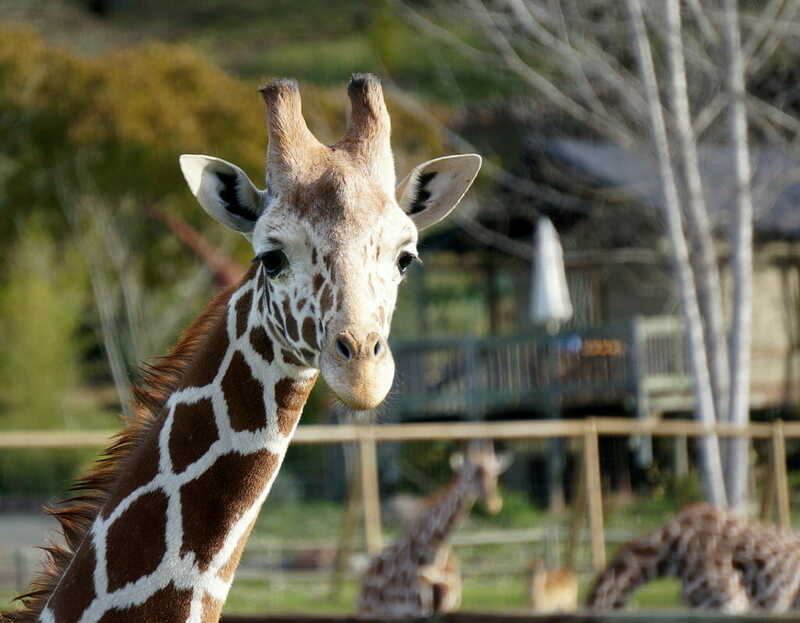 One of the most unique attractions in Santa Rosa is the 400 acre wildlife park, Safari West, filled with roaming African animals. 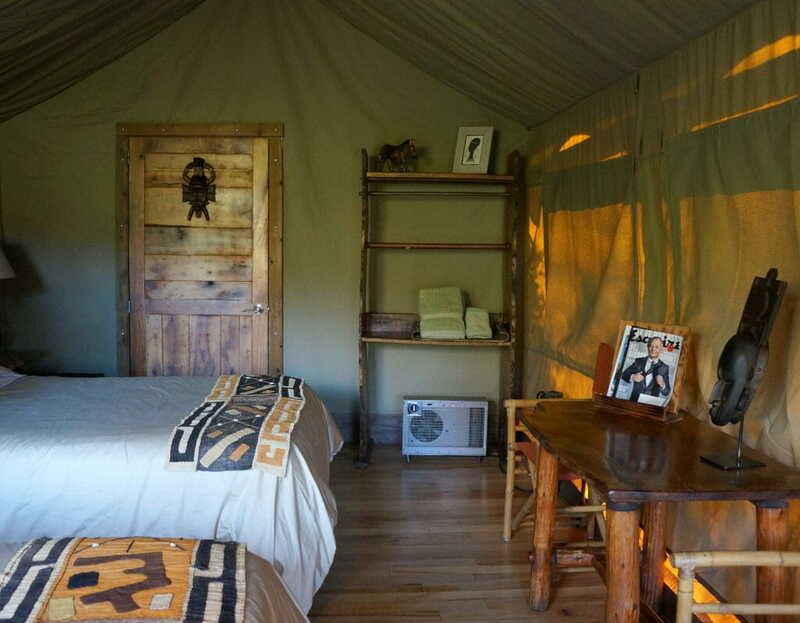 For animal fans or those who long to go on safari in Africa, this is your next best option. 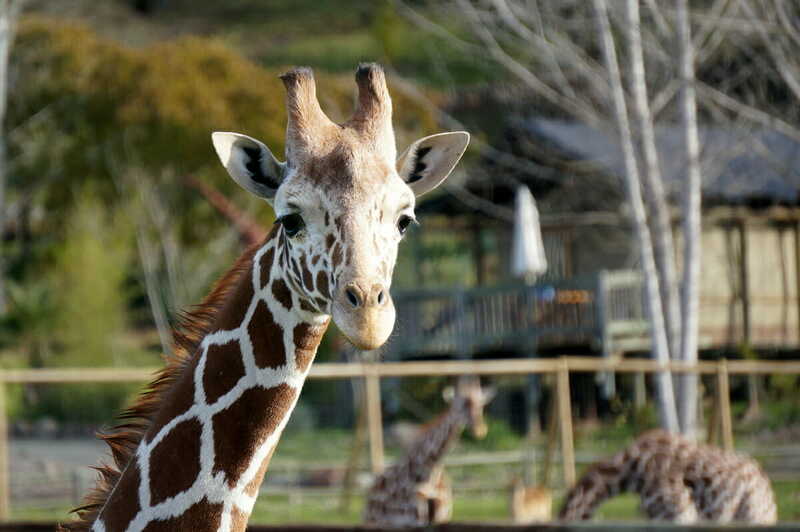 The Sonoma Serengeti as some call it, is unlike any wildlife preserve you will have visited before. 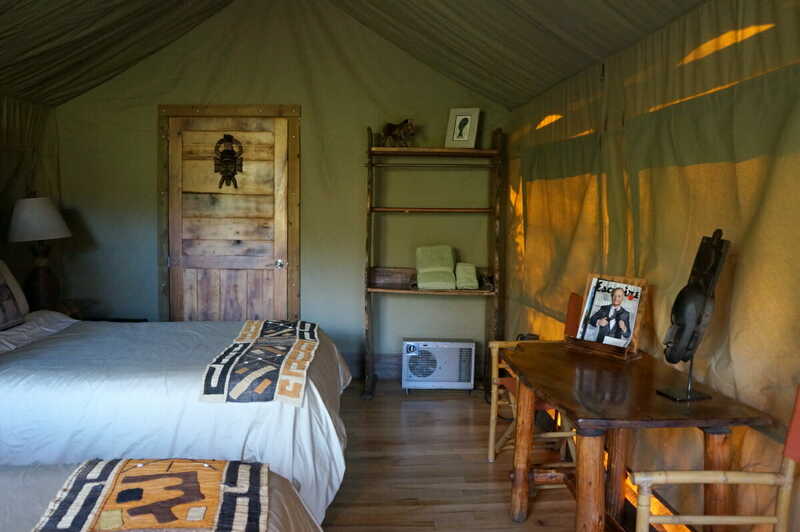 Staying in Africa-esque glamping style tent cabins while looking out at wild animals dotting the rolling hills of wine country is pretty extraordinary, especially so close to a city center. Even if you can’t spend the night, a day visit is highly recommended. 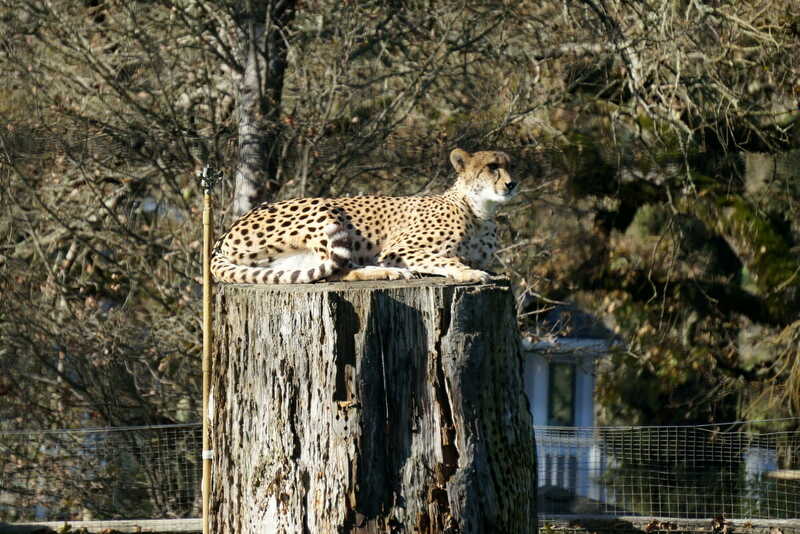 Families will enjoy wandering through the bird enclosure, before heading over to see a cheetah to start the tour. Loading up into the open-doored jeeps will be a favorite for all the littles I can guarantee. 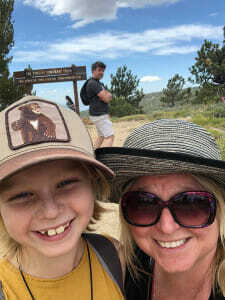 If your kids are tall enough, try to snag the seats on the top of the jeep for the best views and up close and personal experiences with the giraffe. 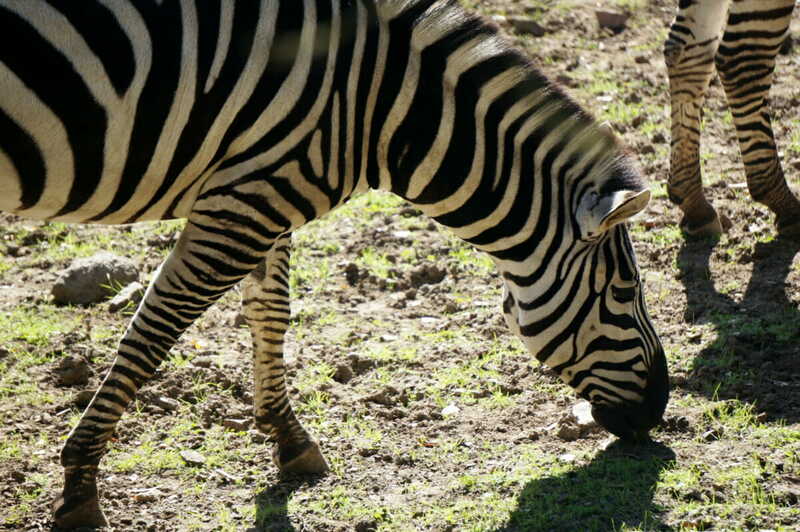 Since there are no predators here, most all of the animals are free to wander the vast grounds as they please. 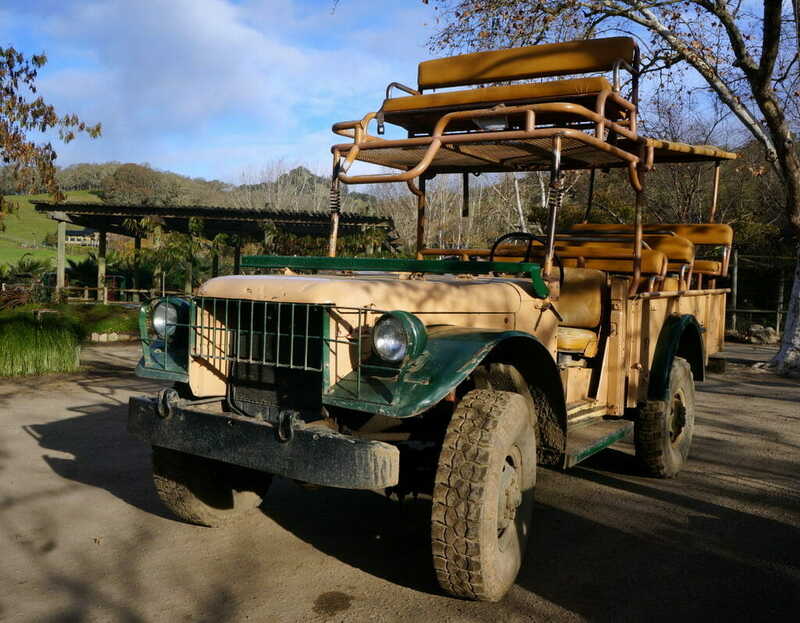 Your jeep safari will take you on an excursion through the wilds in search of wildebeest, zebras, cape buffalo and more. A wonderful family experience for those who love nature, animals and are interested in conservation efforts around the globe. 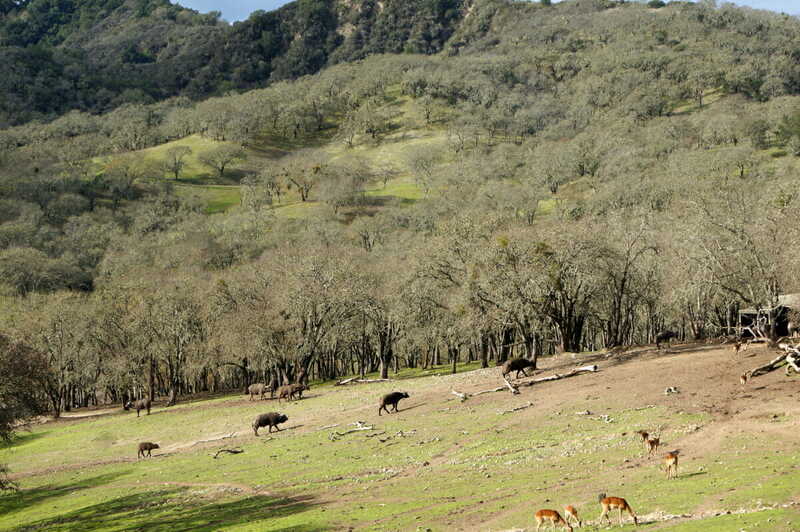 The Santa Rosa area is chock full of wonderful outdoor adventures for the entire family. From canopy zip lining tours to river adventures for the adrenaline junkies to serene quiet beauty at the local Spring Lake and further afield in the redwoods, there is plenty of inspiration to get outdoors. 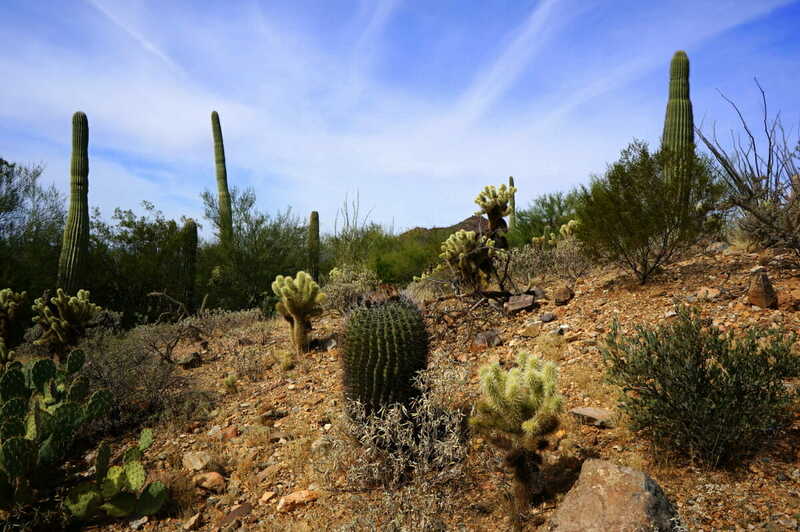 There are numerous places in the area to get out into nature for a hike. During my visit, I particularly enjoyed a walk around the lake at Spring Lake Regional Park. Even though it was a cool, foggy fall day I could see how amazing this would be in the summer when all the facilities are operating at full speed. 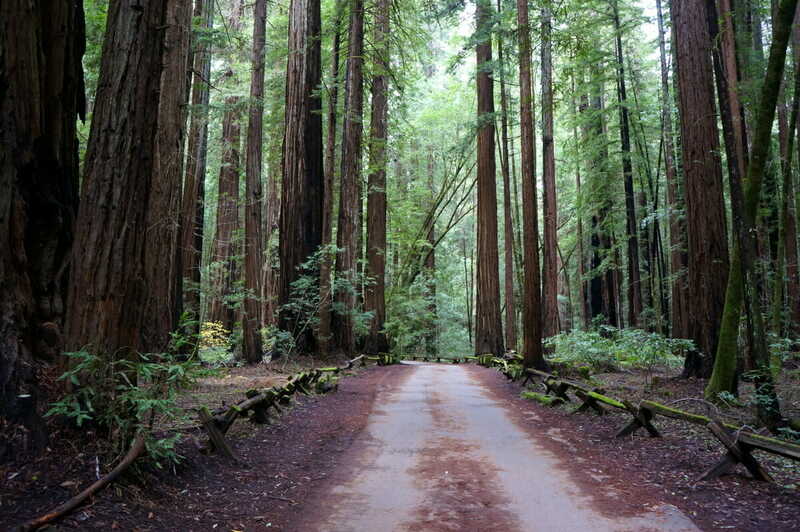 For those looking for a little more nature, head out to Armstrong Redwoods State Natural Reserve. 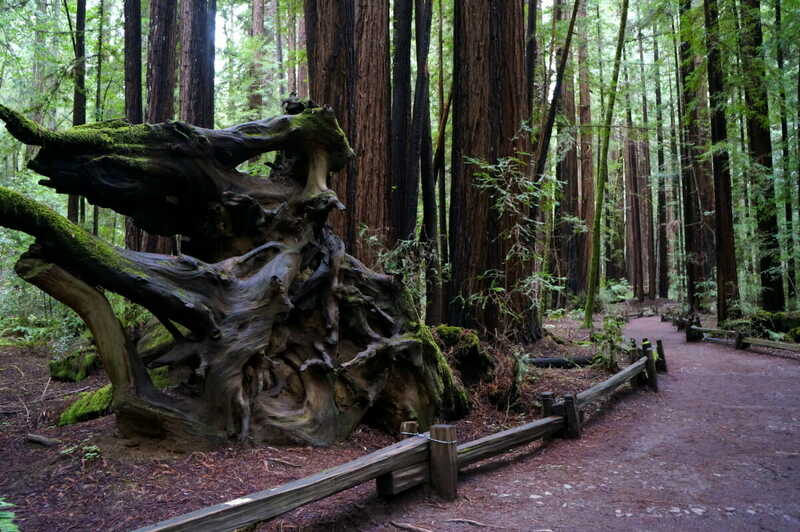 It feels somewhat like a clone to Muir Woods located closer to San Francisco. What makes Armstrong great is the lack of crowds! 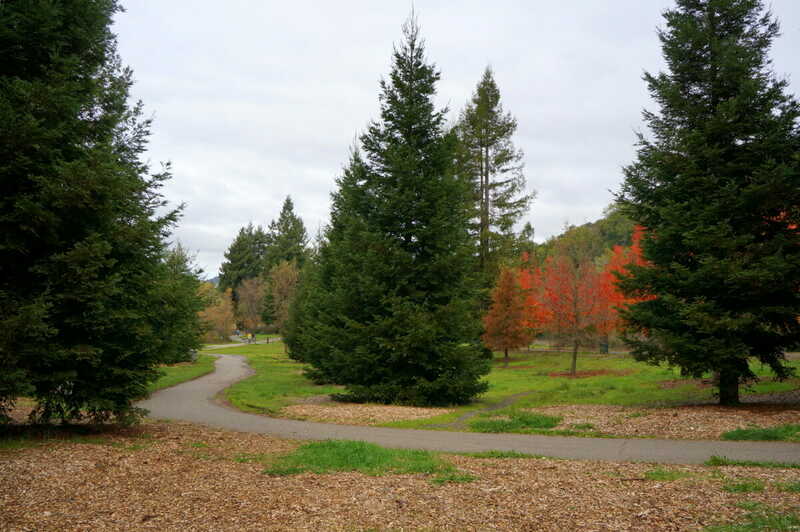 Park at the visitor center and enjoy wandering the many trails amongst some of the worlds biggest trees. This is for you, parents. 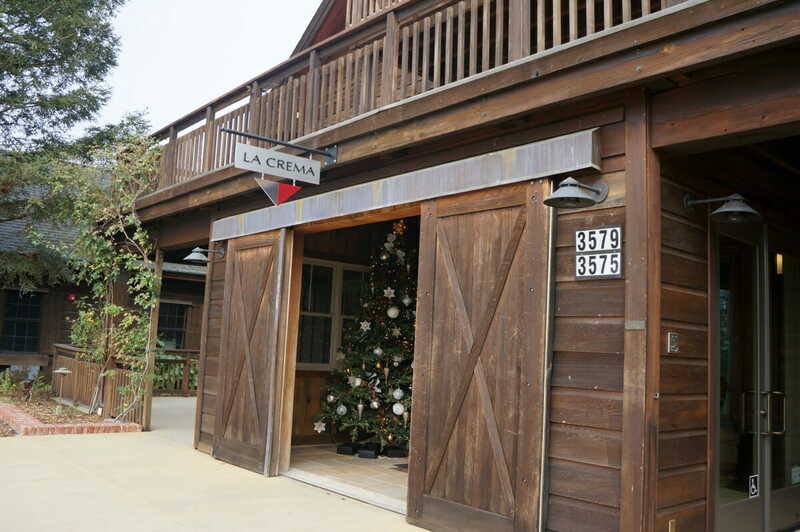 I know you may think that a visit to a winery is not very kid friendly, but La Crema at Saralee’s Vineyard is super family friendly and takes care of both the mommas, papas and kiddos in one go! Apart from La Crema’s traditional wine tasting options throughout their stunning converted barn, they also offer one of the most unique tasting options I have seen. The ‘Vineyard Safari’ tour at La Crema is a super fun addition to their tasting menu, perfect for the entire family. 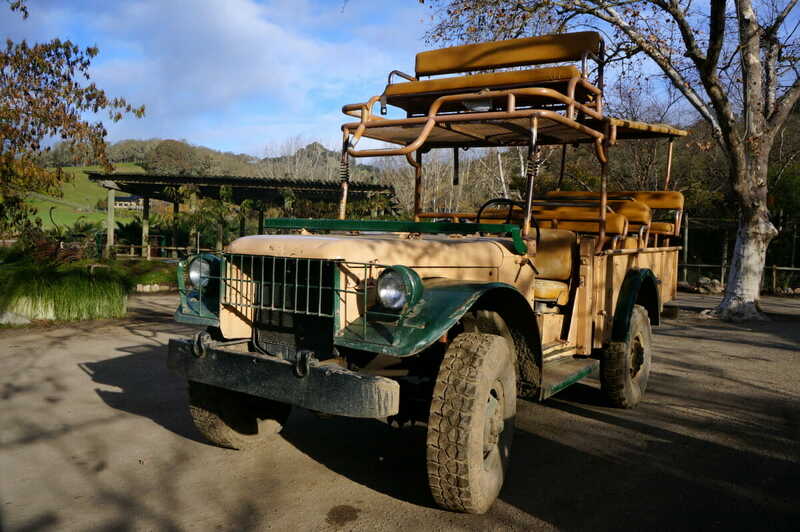 Load up in La Crema’s golf cart for a guided tour into the vast vineyards. 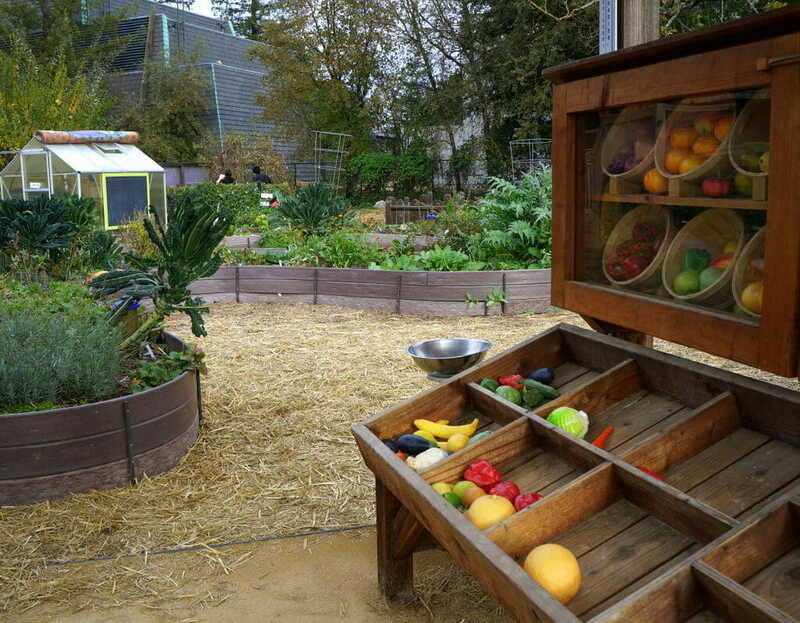 Tours take visitors to the pond, fruit tree alley, and beyond. 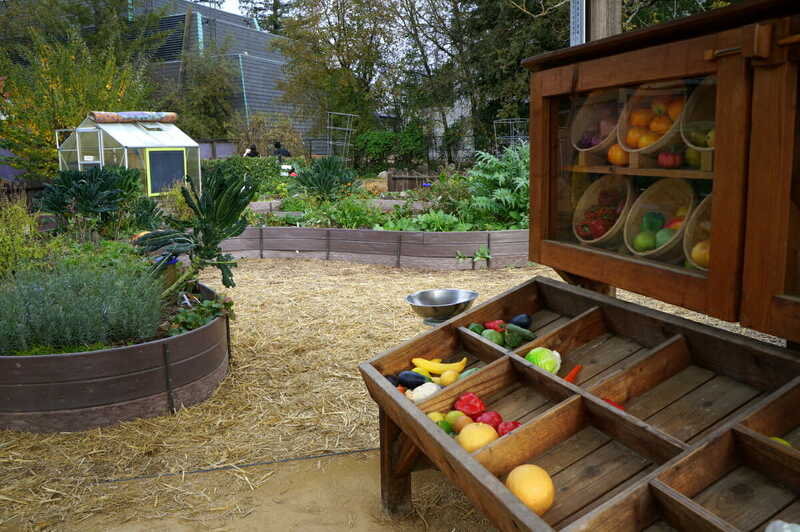 Kids (and grown ups too) will enjoy testing out the various fruits along the way as well as animal spotting. 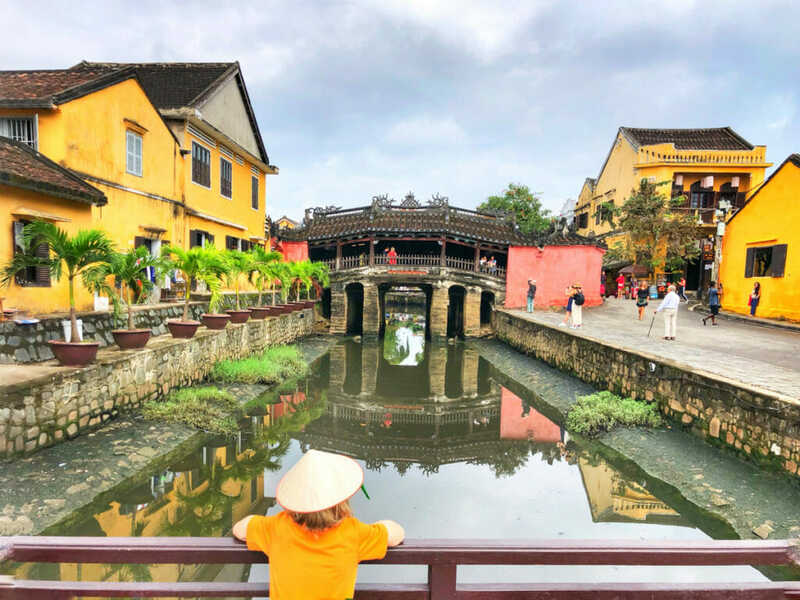 Parents you will have the opportunity to sit still, sip on some gorgeous wine and take in the sights while the kids are entertained as well. Ask your guide to stop at one of the many owl boxes to check out the owl pellets around the bottom to see what bones you can find. This post may contain affiliate links. If you book any accommodation through these links, I may receive a small commission. This helps keep No Back Home running. Thank you for your support! Need somewhere to stay while in town? The Flamingo Resort is a family friendly hotel packed with history with a retro vibe. Basic motel style rooms with a bit more amenities provides everything you need for a weekend stay. 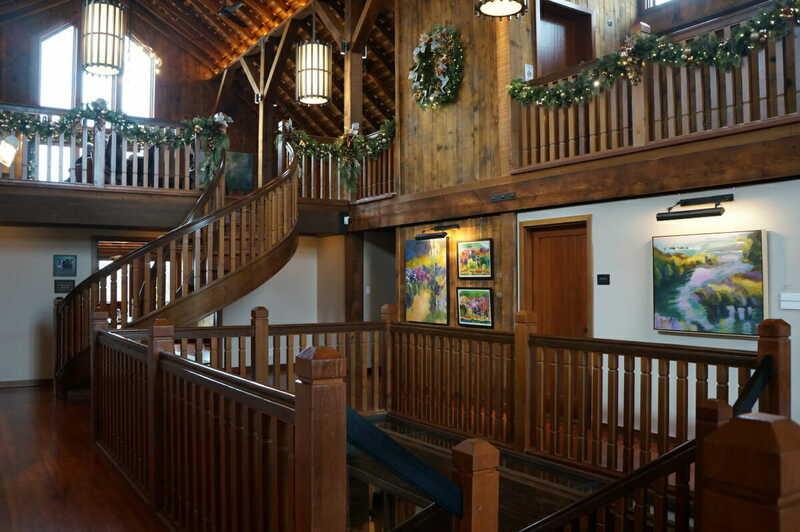 Kids and parents alike will enjoy the heated pool and vast grounds to explore. For a little more upmarket of a stay, check out the Hilton Sonoma Wine Country. 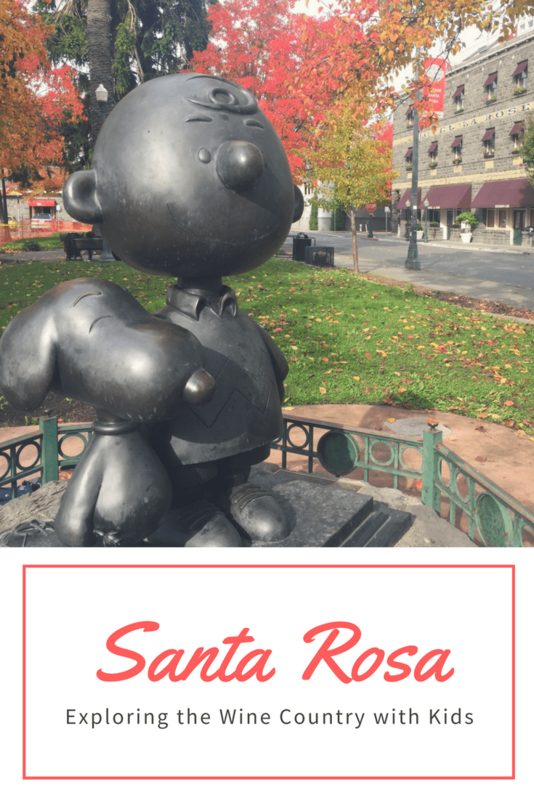 Have you been to Santa Rosa with kids? What were your favorite things to do? For even more ideas on what to see and do in the area, pop over to Visit Santa Rosa. Thank you to Visit Santa Rosa for bringing us out and hosting our stay. As always, however, all opinions and thoughts presented here are my own. I love Santa Rosa! I was actually born there. 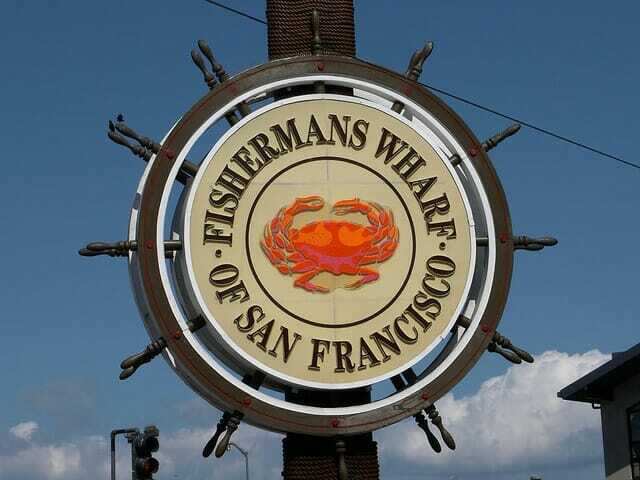 This blog has inspired me to go visit soon! Thanks! Thanks for the message Tarah!! I didn’t realize you were born there. Such a beautiful area of the state! It’s pretty warm in Santa Rosa in th summer since its close to Sonoma, but the fog will roll in at night to cool it off significantly. Things have been badly damaged due to the fires, but I think by next summer most everything will be back up again!